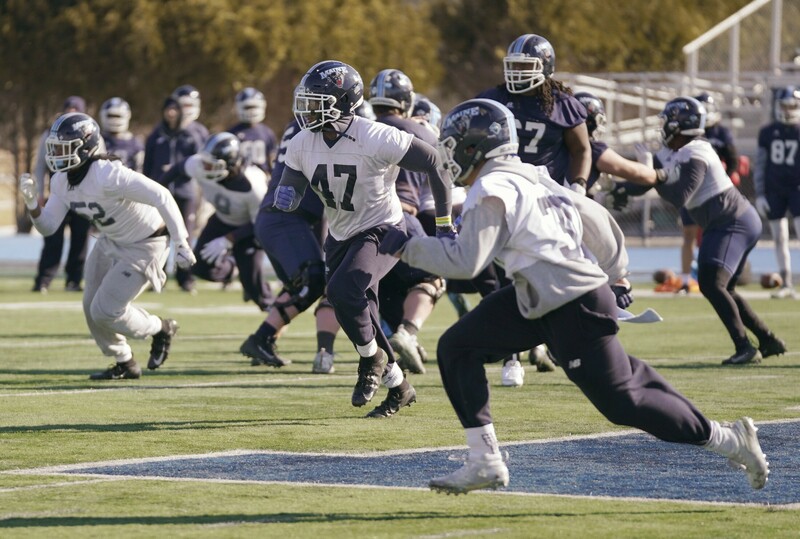 Deshawn Stevens, center, runs through a play on the first day of spring practice for the University of Maine football team at Orono on Tuesday. 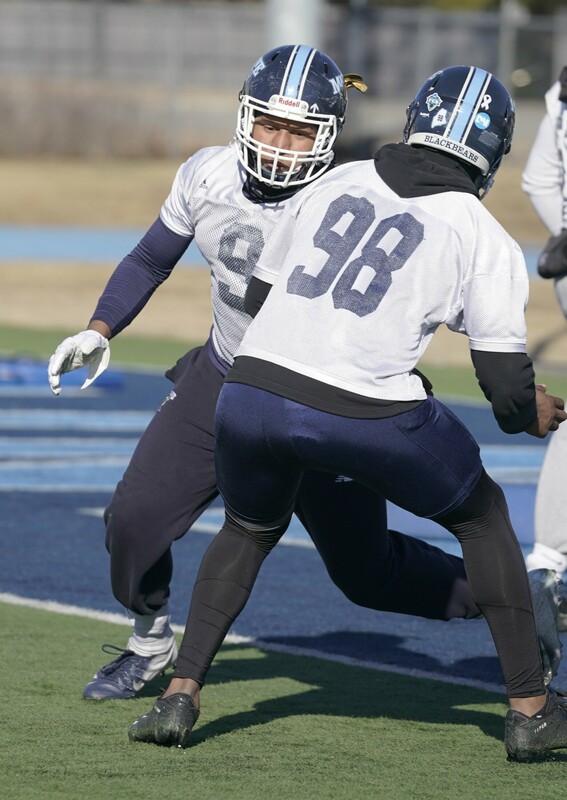 Kayon Whitaker runs through a drill with Jonathan Smith. 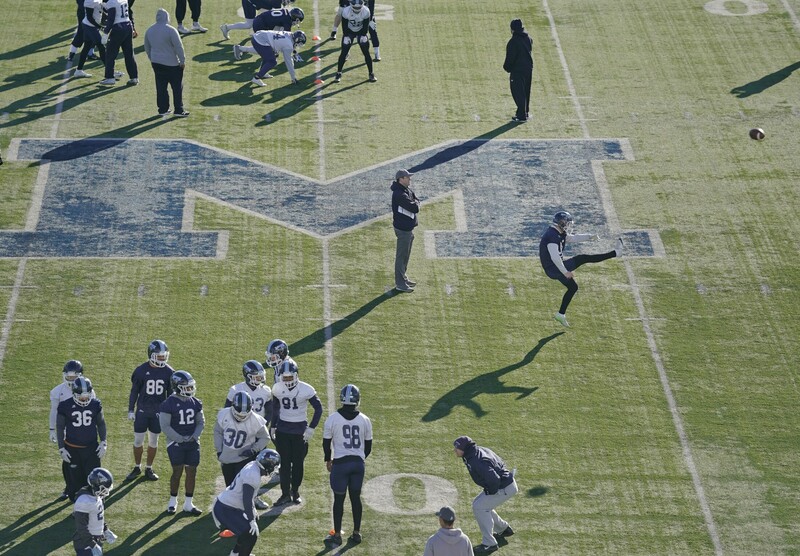 Nick Charlton, center, new head coach of the University of Maine football team, watches Derek Deoul punt. Emanuel Patterson, 1, watches a play from the sideline. 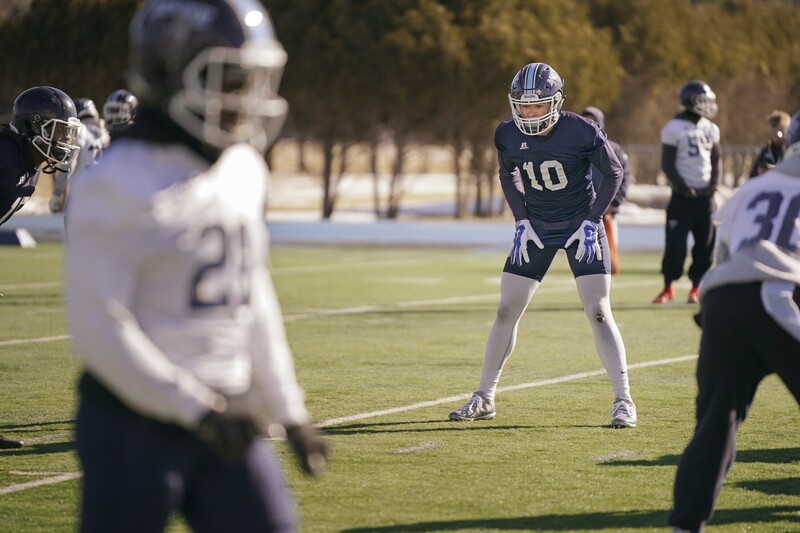 Andre Miller, 10, prepares to run a play during the first day of spring practice. Miller had a coming out game in the national semifinals last year when he caught nine passes for 129 yards and a touchdown. 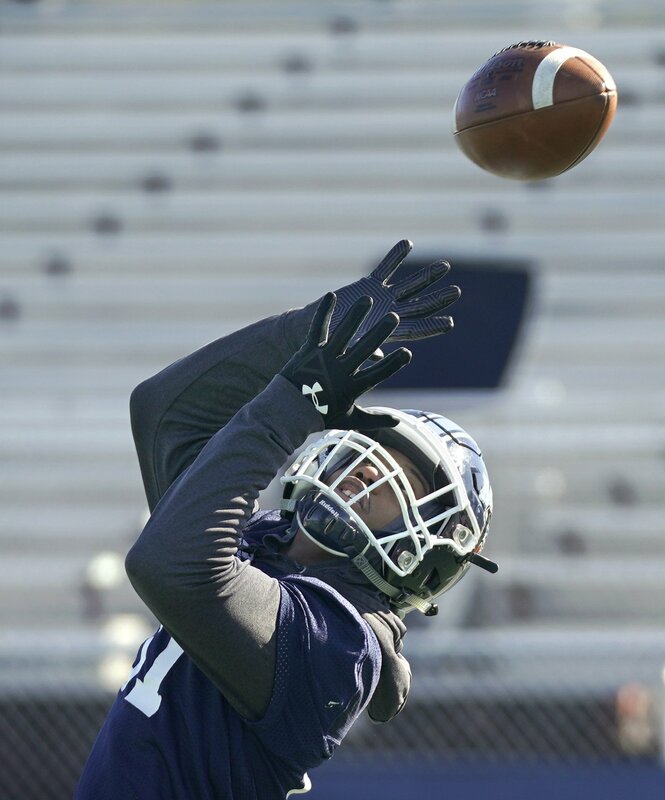 Taji Lowe watches a play from the sideline. LOwe is wearing No. 12 this year, a number given to him by tight end Drew Belcher, a graduating senior. Kayon Whitaker puts the pressure on quarterback Chris Feguson while running a play. 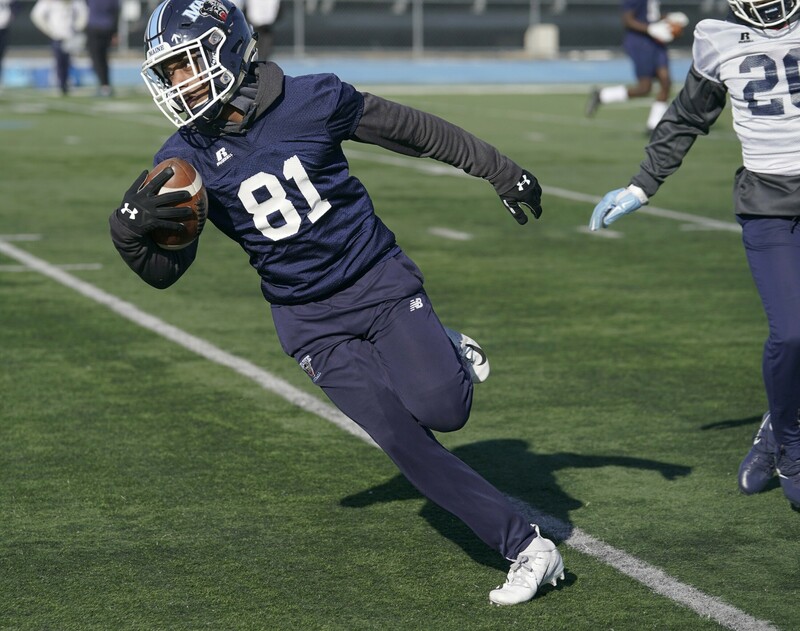 Earnest Edwards pulls in a ball while running through a drill. Deshawn Stevens watches a play from the sideline. 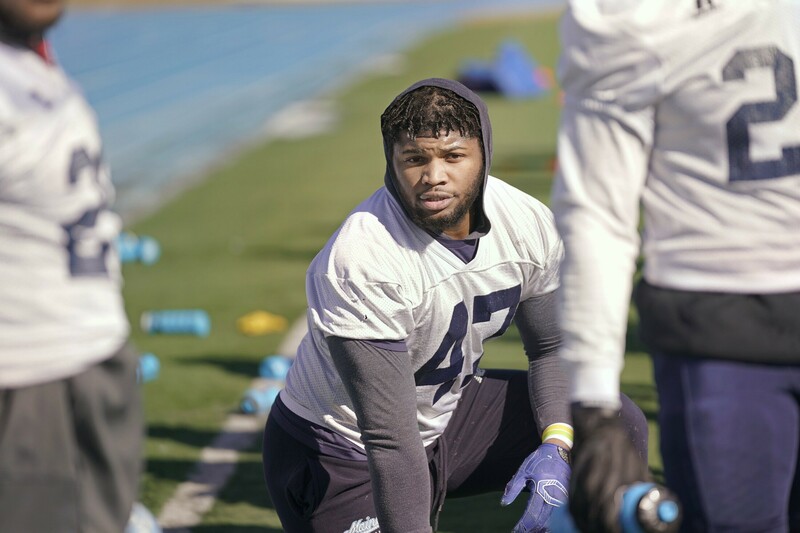 Stevens led UMaine in 120 tackles last year. 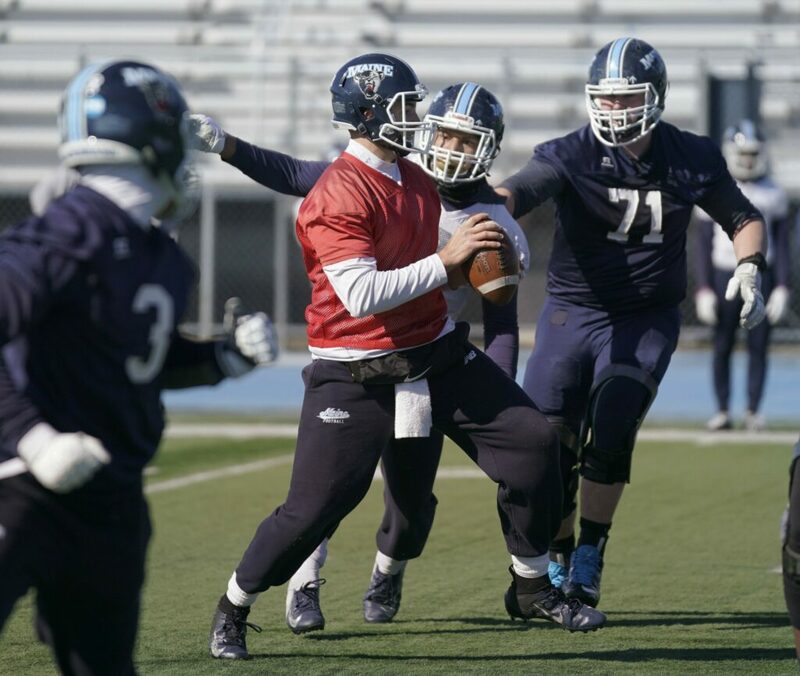 Quarterback Chris Ferguson throws the ball during a drill. Ferguson will start his third year at quarterback. 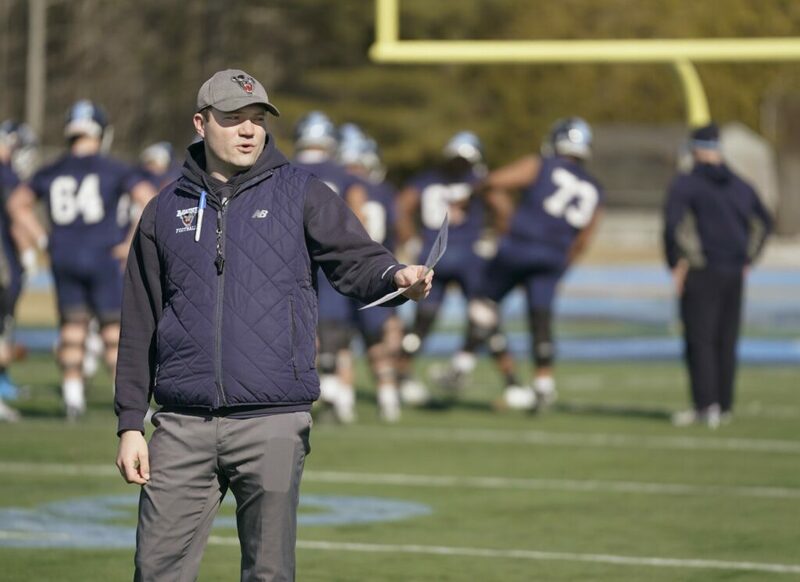 Nick Charlton, new head coach of the University of Maine football team, talks to players. ORONO, ME - MARCH 26: New defensive coach Mike Ryan watches players run through a play. 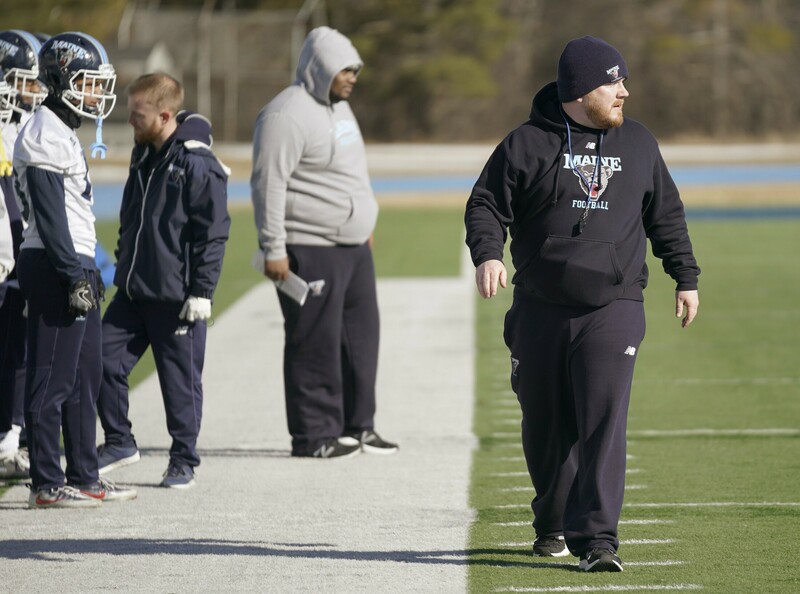 New offensive coach Andrew Dresner watches quarterback Chris Ferguson and Richard Carr run through a drill. 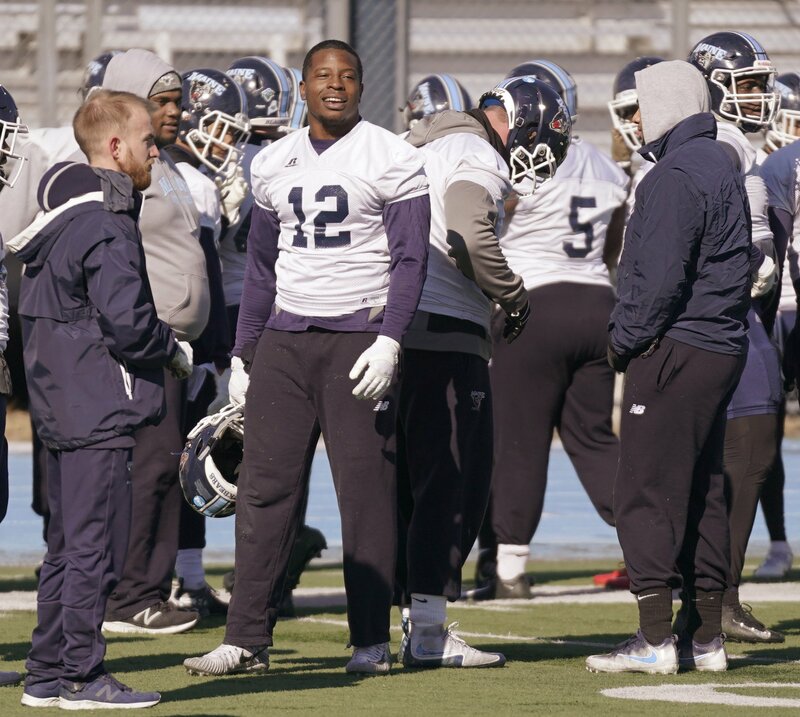 Nick Charlton, center, the new head coach of the University of Maine football team, talks to players after the first day of spring practice.